On Friday, alongside China’s announcement that it had bought over 600 tons of gold in “one month”, the PBOC released another very important data point: its total foreign exchange reserves, which declined by $17.3 billion to $3,694 billion. We then put China’s change in FX reserves alongside the total Treasury holdings of China and its “anonymous” offshore Treasury dealer Euroclear (aka “Belgium”) as released by TIC, and found that the dramatic relationship which we first discovered back in May, has persisted – namely virtually the entire delta in Chinese FX reserves come via China’s US Treasury holdings. As in they are being aggressively sold, to the tune of $107 billion in Treasury sales so far in 2015. 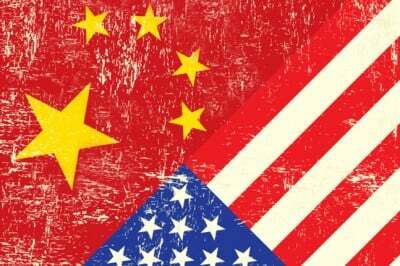 We explained all of his on Friday in “China Dumps Record $143 Billion In US Treasurys In Three Months Via Belgium“, and frankly we have been surprised that this extremely important topic has not gotten broader attention. Looking at China more specifically, it appears that, after adjusting for currency changes, Chinese FX reserves were depleted for a fourth straight quarter by around $50bn in Q2. The cumulative reserve depletion between Q3 2014 and Q2 2015 is $160bn after adjusting for currency changes. At the same time, a current account surplus in Q2 combined with a drawdown in reserves suggests that capital outflows from China continued for the fifth straight quarter. Assuming a current account surplus in Q2 of around $92bn, i.e. $16bn higher than in Q1 due to higher merchandise trade surplus, we estimate that around $142bn of capital left China in Q2, similar to the previous quarter. This brings the cumulative capital outflow over the past five quarters to $520bn. Again, we approximate capital flow from the change in FX reserves minus the current account balance for each previous quarter to arrive at this estimate (Figure 2). Incidentally, $520 billion is roughly triple what implied Treasury sales would suggest as China’s capital outflow, meaning that China is also liquidating some other USD-denominated asset(s) at a feverish pace. So far we do not know which, but the chart above and the magnitude of the Chinese capital outflow is certainly the biggest story surrounding the world’s most populous nation: what is happening in its stock market is just a diversion. One way that slower EM capital flows and credit creation affect the rest of the world is via trade and trade finance. Trade finance datasets are unfortunately not homogeneous and different measures capture different aspects of trade finance activity. Reuters data on trade finance only aggregates loan syndication deals, which have mandated lead arrangers and thus capture the trends in the large-scale trade lending business, rather than providing an all-inclusive loans database. Perhaps the largest source of regularly collected and methodologically consistent data on trade finance is credit insurers (see “Testing the Trade Credit and Trade Link: Evidence from Data on Export Credit Insurance”, Auboin and Engemann, 2013). The Berne Union, the international trade association for credit and investment insurers with 79 members, includes the world’s largest private credit insurers and public export credit agencies. The volume of trade credit insured by members of the Berne Union covered more than 10% of international trade in 2012. The Berne Union provides data on insured trade credit, for both short-term (ST) and medium- and long-term transactions (MLT). Short-term trade credit insurance accounts for the vast majority at around 90% of new business in line with IMF estimates that the vast majority 80%-90% of trade credit is short term. Figure 4 shows both the Reuters (quarterly) and the Berne Union (annual) data on trade finance loan syndication and trade credit insurance volumes, respectively. The quarterly Reuters data showed a clear deceleration this year from the very high levels seen at the end of last year. Looking at the first two quarters of the year, Reuters volumes were down by 25% vs. the 2014 average (Figure 4).The more comprehensive Berne Union annual volumes are only available annually and the last observation is for 2014. These data showed a very benign trade finance picture up until the end of 2014. Trade finance volumes had been trending up since 2010 at an annual pace of 8.8% per annum (between 2010 and 2014) which is faster than global nominal GDP growth of 6% per annum, i.e. the trend in trade finance had been rather healthy up until 2014, but there are indications of material slowing this year. This is also reflected in world trade volumes which have also decelerated this year vs. strong growth in previous years (Figure 5). Summarizing the above as simply as possible: for all those confounded by why not only the US, but the global economy, hit another brick wall in Q1 the answer was neither snow, nor the West Coast strike, nor some other, arbitrary, goal-seeked excuse, but China, and specifically over half a trillion in still largely unexplained Chinese capital outflows. China’s balance of payments has been undergoing important changes in recent quarters. The trade surplus has grown far above previous norms, running around $260bn in the first half of this year, compared with about $100bn during the same period last year and roughly $75bn on average during the previous seven years. Ordinarily, these kinds of numbers would see very rapid reserve accumulation, but this is not the case. Partly that is because China’s services balance has swung into meaningful deficit, so that the current account is quite a bit lower than the headline numbers from trade in goods would suggest. But the more important reason is that capital outflows have become very sizeable and now eclipse anything seen in the recent past. Headline FX reserves in the second quarter fell $36bn, from $3,730bn at end-March to $3,694bn at end-June. While we estimate that there was a large negative valuation effect in Q1 (due to the drop in EUR/$ on the ECB’s QE announcement), there was likely a positive valuation effect in Q2, which we put around $48bn. That means that our proxy for reserve accumulation in the second quarter is around -$85bn, i.e. the actual “flow” drop in reserves was bigger than the headline numbers suggest because of a flattering valuation effect. If we put that number together with the trade surplus in Q2 of $140bn, net capital outflows could be around -$224bn in the quarter, meaningfully up from the first quarter. There are caveats to this calculation, of course. There is obviously the services deficit that we mention above, which will tend to make this estimate less dramatic. It is also possible that our estimate for valuation effects is wrong. Indeed, there is some indication that valuation-related losses in Q1 were not nearly as large as implied by our calculations. But even if we adjust for these factors, net capital outflows might conceivably have run around -$200bn, an acceleration from Q1 and beyond anything seen historically. Granted, this is smaller than JPM’s $520 billion number but this also captures a far shorter time period. Annualizing a $224 billion outflow in one quarter would lead to a unprecedented $1 trillion capital outflow out of China for the year. Needless to say, a capital exodus of that pace and magnitude would suggest that something is very, very wrong with not only China’s economy, but its capital markets, and last but not least, its capital controls, which prohibit any substantial outbound capital flight (at least for ordinary people, the Politburo is clearly exempt from the regulations for the “common folk”). The big question is obviously what is driving these flows and how long they are likely to continue. We continue to take the view that a stock adjustment is at work, although it is clear that the turning point is yet to come. We will look at this in one of our next FX Views. In the interim, we think an easier question is what this means for G10 FX. This is because this shift in China’s balance of payments is sure to depress reserve accumulation across EM as a whole, such that reserve recycling – a factor associated with Euro strength in the past – is unlikely to be sizeable for quite some time. In other words, for once Goldman is speechless, however it is quick to point out that what traditionally has been a major source of reserve reflow, the Chinese current and capital accounts, is no longer there. It also means that what may have been one of the biggest drivers of DM FX strength in recent years, if only against the pegged Renminbi, is suddenly no longer present. While the implications of this on the global FX scene are profound, they tie in to what we said last November when explaining the death of the petrodollar. For the most part, the country most and first impacted from this capital outflow will be China, something its stock market has already noticed in recent weeks. But what is likely the take home message for non-Chinese readers from all of this, is that while there has been latent speculation over the years that China will dump US treasuries voluntarily because it wants to (as punishment or some other reason), suddenly China is forced to liquidate US Treasury paper even though it does not want to, merely to fund a capital outflow unlike anything it has seen in history. It still has a lot of 10 Year paper, aka FX reserves, left: about $1.3 trillion at last check, however this raises two critical questions: i) what happens to 10 Year rates when whoever has been absorbing China’s Treasury dump no longer bids the paper and ii) how much more paper can China sell before the entire world starts paying attention, besides just JPM and Goldman… and this website of course. Finally, if China’s selling is only getting started, just what does this mean for future Fed strategy. Because one can easily forget a rate hike if in addition to rising short-term rates, China is about to dump a few hundred billion in paper on a vastly illiquid market. Or let us paraphrase: how soon until QE 4?